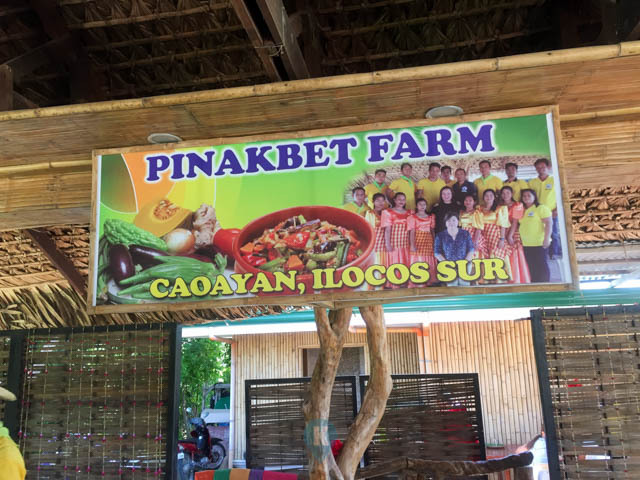 Pinakbet Farm is an organic farm restaurant located in Ilocos Sur. Its a bit far from Vigan City and you really must have a car to reach this place. Only light vehicles can pass through the narrow streets toward this farm. After driving a bit from Vigan City (follow google maps or waze or GPS) you will come to this quiet farm by the river. 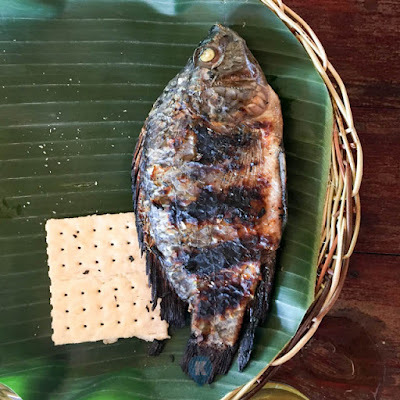 They boasts ingredients taken from their organic farm and most of the fish or tilapia they serve comes from the fish pens located by the same river. 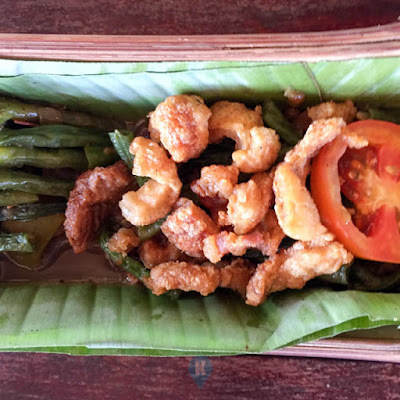 Their famous pinakbet served on a long bamboo pole. I usually don't eat pinakbet much as there are two ingredients in it that I don't like. 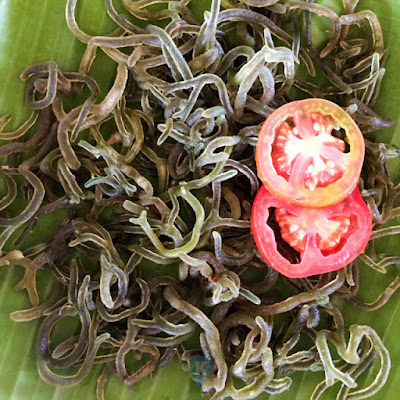 Luckily for me, 1) its organic and 2) they cooked it so well that the pinakbet they served, I liked it so much. The Pinakbet is served in a long bamboo pole so everyone is expected to eat like boodle style. The other food items such as the grilled tilapia and liempo were served on your plate by hand (with plastic gloves) by your servers. Rice is unlimited so, if you are on a diet, consider this visit as your cheat day. Tilapia was fresh and yummy. 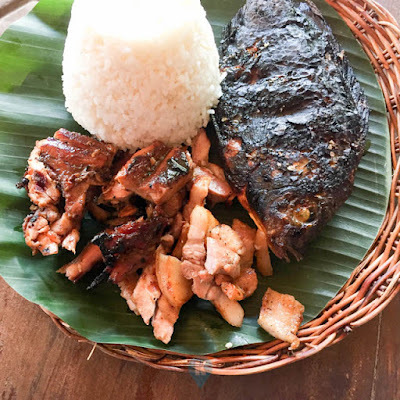 The grilled liempo was juicy and cooked just right. During this time I told the server holding the rice to stay away from me. I think I asked for 4 or 5 cups of rice on this visit. Blame it on the lechon manok they also served. Even with the difficulty in finding the place, eating here will be worth your while. 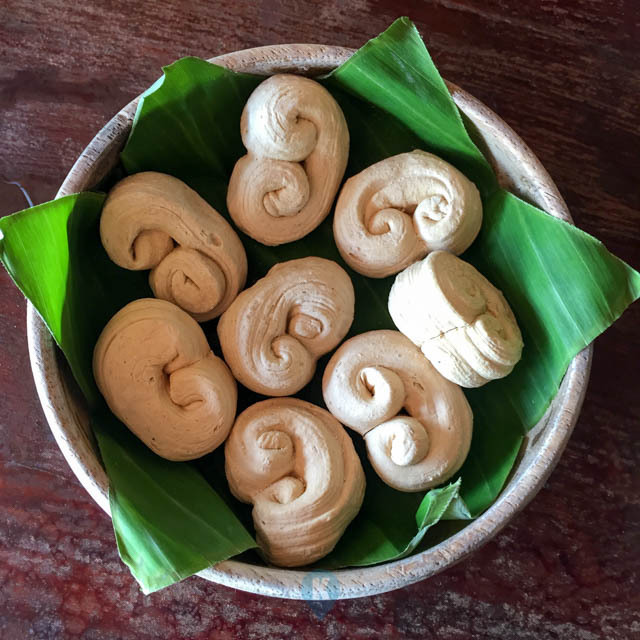 They even sing and dance for you while you're eating, making your visit a memorable one. To find them fast, click here. You are given one whole tilapia. There was still no rice so we ate the crackers with this. I was afraid to try this, so I didn't ask what this is. Even with only these as our meal, I had 4-5 cups of rice. This is their dessert. A meringue type of snack that tastes like vanilla.